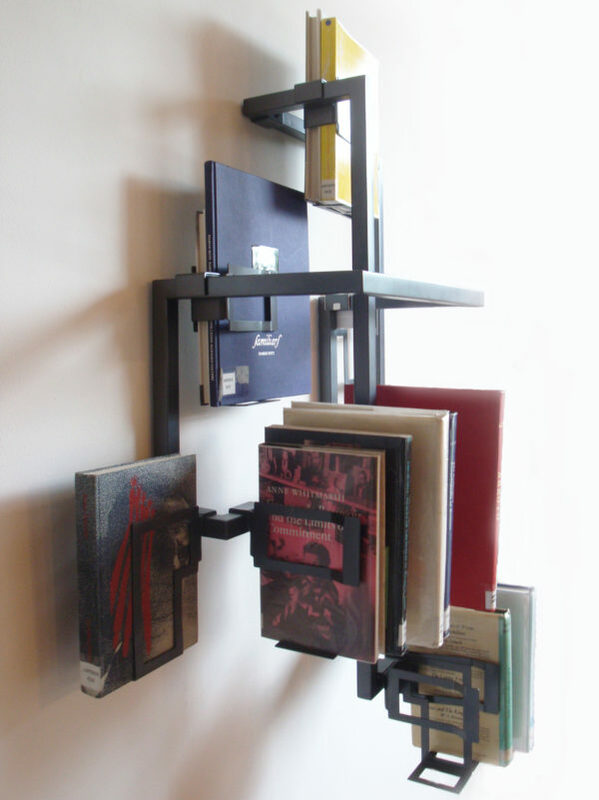 This shelving unit is mainly made of powder coated steel. It comes with a three dimensional frame and twelve bookholder units which are flexible enough to hold different book sizes. It is designed for living room- and home office environments implementing the display and storage of favourite books or books in use in an aesthetic and functional way. It is not only supporting a participation in the evolution of its overall shape, but also crossing boundaries between design and sculpture, combining a sculptural way of thinking with the formal side of design. A collaborative project with motorcycle company Triumph. The task was to produce an innovative product inspired by, and built from, parts of the current Triumph Bonneville T100. 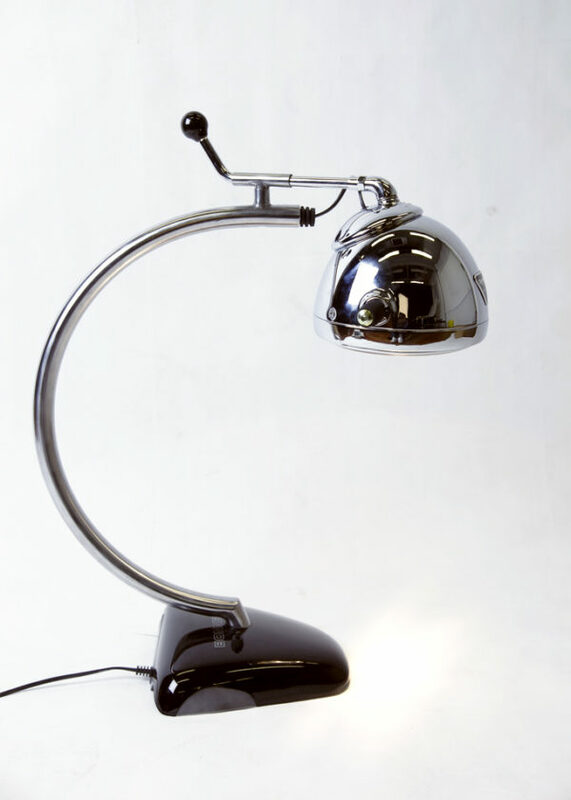 The industrial desklamp is built of the Bonneville headlamp unit, mirror unit and battery cover. This fully functional prototype is easy to dismantle and allows a quick bulb change. The black knob at its back and the „ears“ on the headlamp itself allow a convenient adjustability. The switch placed on the stable base activates a 50W bulb providing sufficient light for all situations. 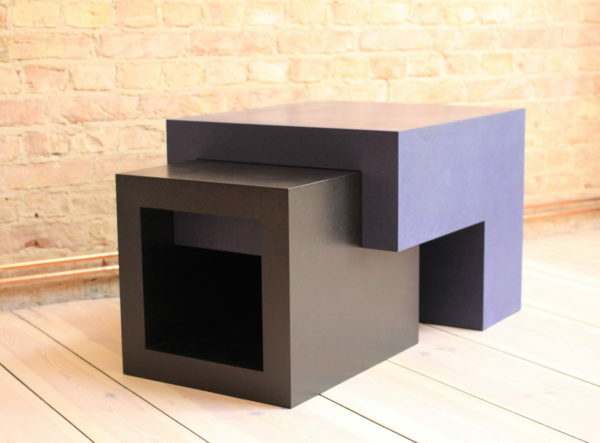 Side table prototype made of mitered black and blue MDF sheets. It includes one drawer and is extendible to double length. 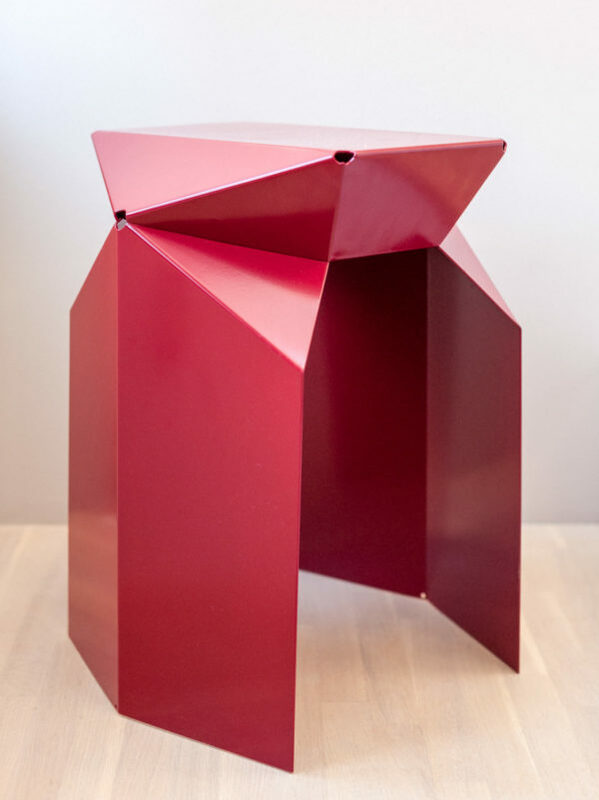 Based on the principle of folding cardboard or paper, this stool is made of one piece of powder coated 2mm mild steel sheet. 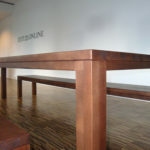 Its angled faces and four hidden spot welded joints ensure a secure and stable stand. The design language is strongly simplified and appears futuristic due to its facetted style. 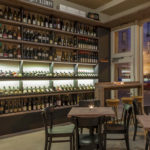 It allows flexibility in terms of arranging more stools towards each other. Various shapes and arrangements are possible thanks to its angled profile.